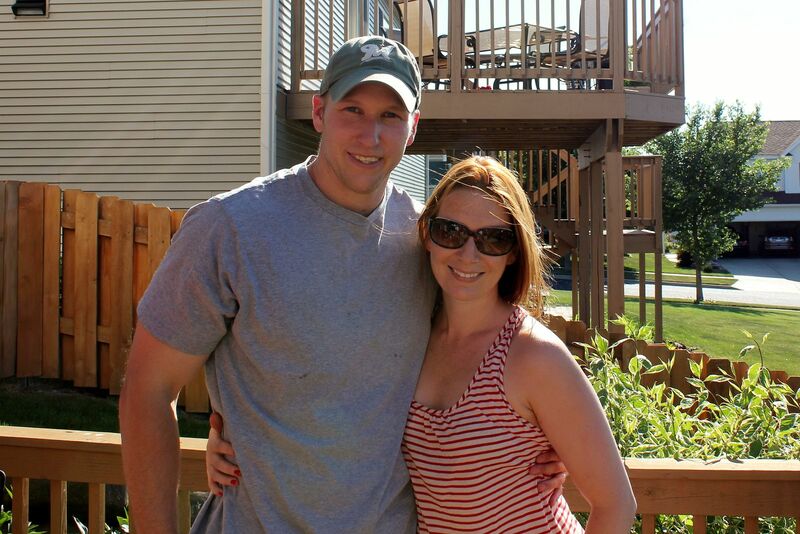 G and I had our 6th annual Fourth of July party over the weekend, and it was our best one yet! We had perfect weather and 50 people in attendance for lots of fun, food, and fireworks! 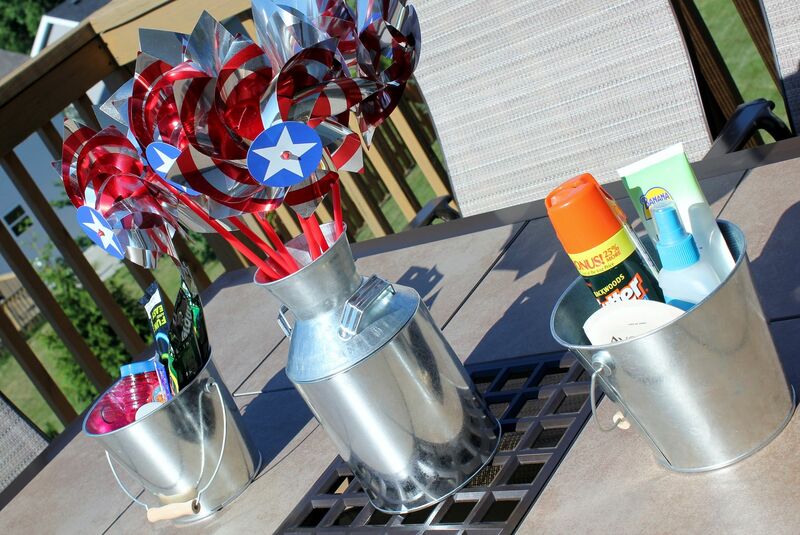 Pinwheel centerpiece, and buckets of sunscreen, bug spray, and goodies for the kids. Taylor (14 months) with her parents Erica & Matt. 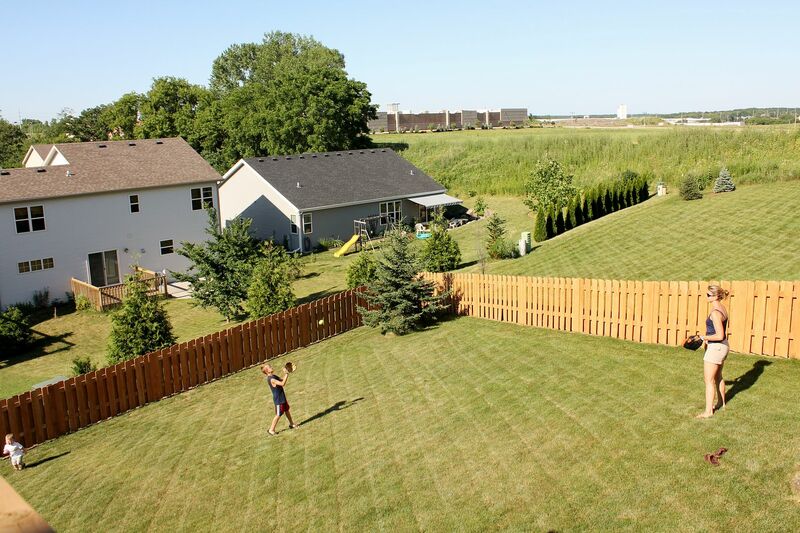 Deb and her son Anthony (age 7) playing catch in the backyard. A glass of sangria in one hand, granddaughter in the other–what more could you ask for? A rare G&D pic. This weekend marked 12 years together! Rex (7 months) with his dad, Jason. Carter gave me my very first tattoo–not bad for an almost 6 year old! Glow bracelets for the kiddos. They had fun with these once the sun started setting. Brothers and best buds, Anthony and Carter. Once the sun went down we enjoyed s’mores around the firepit (both traditional chocolate and Reece’s peanut butter cup–mmm!) and watched some neighborhood fireworks. G snapped one last picture of my tat before we called it a night and I crossed my fingers it’d wash off! Ir was such a fun day–thank you to everyone who joined us! Hope you all had a wonderful Fourth of July weekend! Great pics! Looks like everyone had a great time. Happy anniversary! I too love your hair. So long and pretty! Your husband is hot! lol! Kate looks absolutely beautiful as do you. Glad you had a great Fourth of July. Hi D! I know you’ve been posting recipes randomly on your blog but one I’ve been waiting (semi) patiently for is the apple plum bars you say Kate loves. Then, today it hit me that maybe you don’t make those yourself. So, I thought I ask if you don’t make them what brand they are and if you do if you’d put that on your “recipes to share” list please! Thanks! So I’ve been reading forever and never yet commented but I thought about your spider-in-the-car story this weekend when I jumped into a lake fully clothed to escape a wasp. And I don’t even regret it. I would totally do it again. That wasp was seriously on the prowl for someone to sting, I could see it in its stupid little wasp eyes. Anyway, looks like you had a great fourth. Your daughter is just adorable. I, too, can’t believe how big Kate has gotten! Such a cute little lady! a true chocoholic would know this is spelled wrong….. Your seem to have such wonderful family and friends! You are so blessed. @Anonymous: I disagree. A true chocoholic would be too busy typing with one hand while stuffing her chocolate-loving face with the delicious morsels to worry about spelling errors.